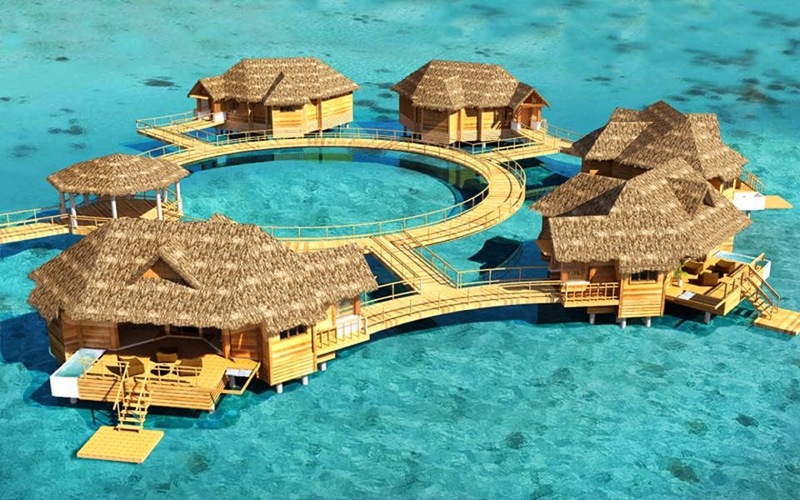 Last month, the wonderful folks at Sandals Resorts made a major announcement, one that those of us in the travel industry had long awaited: the addition of overwater bungalows to the Caribbean! Currently, you can only enjoy these accommodations if you travel to Tahiti, where the overwater, glass-bottom bungalows are readily available to travelers. In 2015, they will be available at Sandals Royal Caribbean in Jamaica! At this point, Sandals is only planning to construct 5 suites, which means they will disappear as soon as they become available. They are using the back end of the private island at Sandals Royal Caribbean in Montego Bay to construct, which is slated to begin next month. 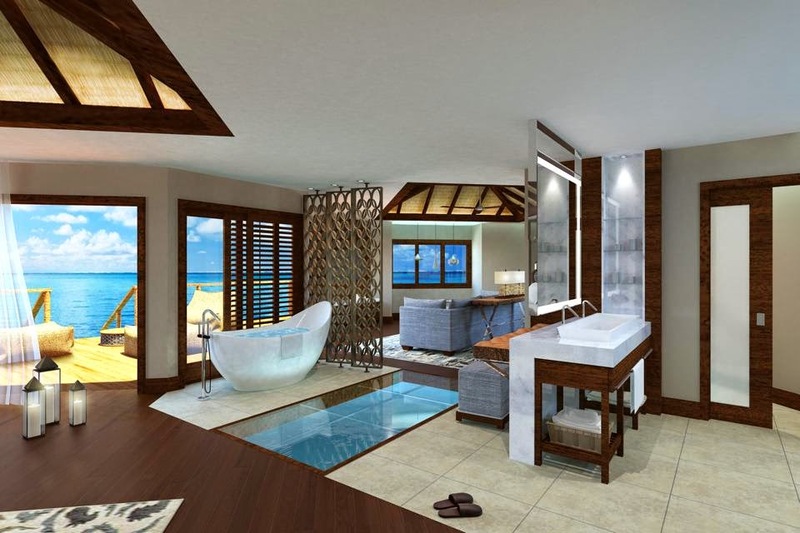 Guests staying these suites will be able to step down in the Caribbean Sea directly from their room. There will also be an outdoor shower, hammock for two and hot tub jacuzzi on the exterior of each bungalow. Inside, expect nothing less than the finest Sandals has to offer. Their standard 4 poster, mahogany bed will be present in the room, along with modern accommodations, a soaking tub and a glass panel in the floor that will provide a view directly into the water! I mean, wow. I can’t WAIT to get back to Montego Bay to experience these suites for myself. These would be perfect for honeymooners, couples celebrating their anniversary, or anyone looking for a luxurious romantic getaway. The suites are not yet available for booking, but once they are, I PROMISE to let you all know! Next Next post: Headed to St. Lucia!! !